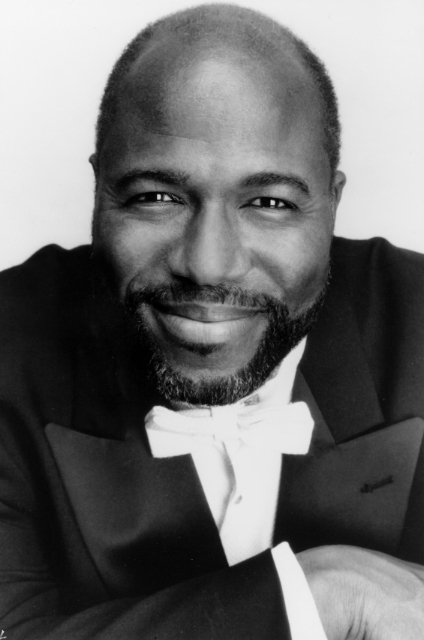 Towering lyric bass Arthur Woodley sang in an Italian rock band in Italy before beginning his professional opera career in October 1979 with his debut at the New York City Opera, with his role in Mendelssohn’s oratorio “Elijah” at Carnegie Hall. Born in New York City in 1949 and raised in St. Croix, US Virgin Islands, Woodley is best known for his role as Porgy in Porgy and Bess, and for originating the role of Old Emile Griffith in the world premiere of Terence Blanchard’s opera Champion – featuring a libretto by Pulitzer-winning playwright Michael Cristofer – that opened at the Opera Theatre of St Louis in 2013. Described as “jazz meets opera in the boxing ring,” Champion tells the true story of one of the greatest boxers of the 20th century, Emile Griffith, a bisexual man who accidentally killed his opponent Benny Paret in the ring after Paret infuriated Griffith by touching his buttocks and making homophobic remarks at the weigh-in. Woodley reprises the role in the Opera de Montréal’s production of Champion which runs at Salle Wilfred-Pelletier beginning on January 26. I recently sat down with Mr Woodley during an OdeM rehearsal for a candid look back at his distinguished career. Curtains Up: You were raised in St. Croix where your family farmed sugar cane and raised animals. That sounds like very hard work. Arthur Woodley: It’s the strangest thing, in this production, for the first time ever, I’ve been able to speak with the accent that I had when I came to America, and it takes me back. All these memories. I remember going to school, we’d carry our shoes and put them on when we got there. Then when we came home from school, and since I was a young boy, it was the chickens that you had to feed. Then after you fed the pigs. And on the weekend we would move the sheep and goats from one pasture to another. In those days I thought it was hard work, but today I think it was heaven. You were a biology major at New York City Community College and sang in the choir. How did you make the switch to singing opera? But I was the first person in my family to go to college – for us it was doctor, lawyer, not singing. He persisted and I got a scholarship to go to Italy where I studied voice for three and a half years! When you studied at the Giovanni Battista Martini Conservatory in Bologna, you also sang in an Italian rock band on the side. AW: Goodness gracious! (Smiles broadly) Yes, we were playing hard rock. We played Led Zeppelin. We also played Aretha, James Brown, and slowly but surely I also started to sing Italian songs as well. We were called Il Muddy Sound, and we played big venues too, discos, and a record company even offered me a contract. I sometimes wonder what might have come of that, but it was not meant to be. But it was an absolutely wild time! Opera was such a white world. I was wondering how you looked at it growing up, and as a Black man, who your inspirations were? AW: Number One is is Paul Robeson because of what he did. He was multi-dimensional, sang, spoke languages. He was a fantastic, interesting and incredible man pushing barriers for Blacks. Also, other Blacks who came along during that time, like actors Sidney Poitier and Harry Belafonte. All these people who came up back then and were activists, who said, “No, this won’t do.” I love them all. Strange thing, there was also Emile Griffith, but not for those same reasons. He was from the islands, and that was a big thing in those days. When I first did this part, when they called me, they had no idea of my background. They just thought I was Black American. You originated the role of Emile Griffith in the premiere of Champion at the Opera Theatre of Saint Louis in 2013. How amazing is it to originate a role? AW: Here’s the thing: 95% of my family is still in the islands. I go back every year or two and I do benefit concerts and such, and I am from the Virgin Islands and here I am representing another Virgin Islander. So there is that kind of pressure. But what an honour! Who would have thunk it? This opera does justice to the man, and the overall picture of what this incredible man had to go through – and do what he had to do – in the 1950s, 60s and 70s. He was a Black and bisexual man. So, you think of all those things, of the different culture he had to come into (in America), this is one hell of a great man. I also went to his funeral. He passed away about a month after Champion premiered in St. Louis. I met his family, and the Virgin Island government did a wonderful thing at his funeral, saying how wonderful it was that another Virgin Islander was portraying Emile Griffith. And all the older boxers were there. It touched me deeply. Still does. Every time I go onstage playing that role, I’m in. It really does happen. It’s not about you anymore, it’s about him, his life and what he had to go through. It’s such an honour to do this role. You teach vocal performance at New York University’s Steinhardt Department of Music and Performing Arts. What is the central message you try to impart to your students? AW: That each and every one of us, every singer, artist – you are an individual, and as such, your voice is different than every other voice there is, or has been. This is about you, about you getting better. That’s the most important thing. I cannot promise them that they will be stars, I cannot promise them that they will even make it in the business. But I can promise that if you do this, if you explore this, you will have a voice. You will have your voice. Arthur Woodley stars in the Opera de Montréal production of Champion at Salle Wilfred-Pelletier at Place des Arts, January 26, 29, 31 and February 2, at 7:30 pm. For more info and tickets, visit operademontreal.com. Top Photo: Yves Renaud, courtesy Opera de Montréal.